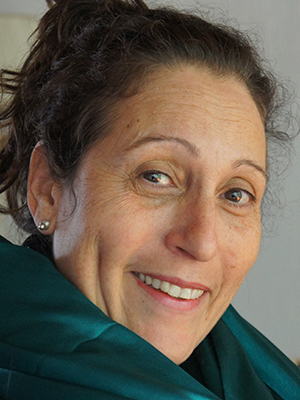 Tours with flair was founded in 2007 by Marina da Costa, a descendent of one of the earliest settler, Baruch da Costa (1654), cantor at Joden Savanne. Six generations da Costa's have lived and are buried in this special place in the jungle of Suriname. Marina, who has traveled throughout Suriname and various other continents, is an experienced field guide with special interest and knowledge of the Jewish History in Suriname. She brings her own blend of humor, enthusiasm, vast expertise, friendly service and a keen eye to help make your tour an unforgettable experience. She speaks English, Dutch, and Sranan. We work together with selected tour operators and tour guides, also friendly, witty and enthusiastic. We personally visited most of the hotels, lodges and destinations we sell, and we pride ourselves on being able to offer unbiased, expert advice from personal experience. Our office team includes Maureen and Jolanda, our admin whiz. They have in-depth first hand knowledge about Suriname as a vacation destination. Together we make the perfect team to design and deliver your Suriname tour. 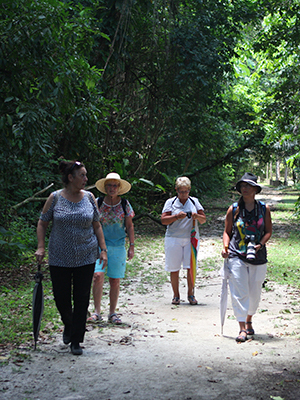 Tours with Flair is a registered and established tour operator based in Suriname and offers a variety of heritage tours, specializing in Jewish Cultural Heritage, for any group size. We specialize in putting together customized itineraries for families and small groups who wish to visit Suriname and require the personal attention and local knowledge that we can offer. Why not contact us for a quote? Let us know what your interests and how many people are in your group, and we will be able put an exciting itinerary together for you. We pride ourselves on offering efficient, friendly and professional service, flexible itineraries and excellent rates. Allow us to share our enthusiasm and knowledge of the Jewish & Cultural and Nature Heritage with you.